February is the month of love. With the Valentine’s Day as the main event you can feel that Love is in the Air through the entire month. That’s why in this month’s challenge we focus on creating Love oriented projects. 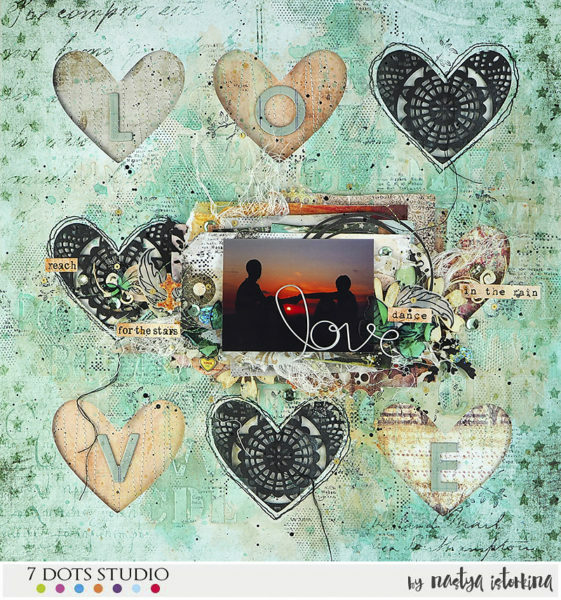 So grab your beloved 7 Dots Studio products and express some love to your close ones through layouts, cards, canvases and any other scrapbooking form. And don’t forget to share with us. 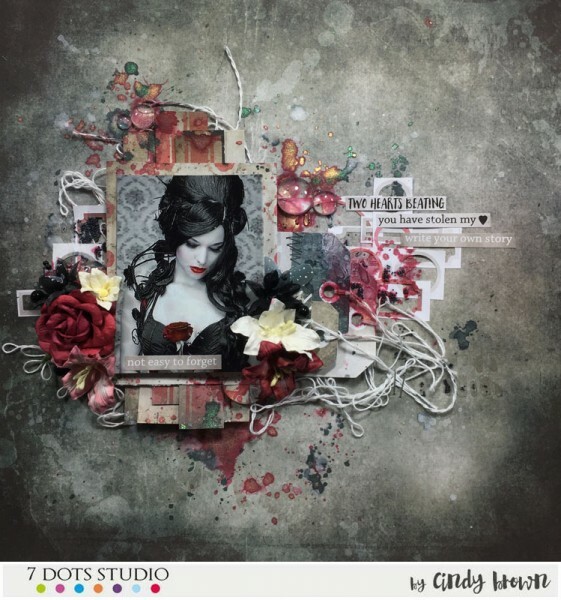 Hi everyone, I would like to show you my new layout using amazing Writer’s Block collection. 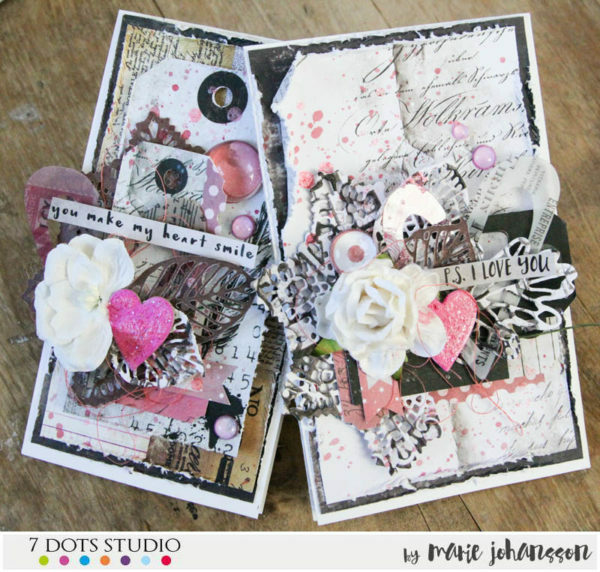 New challenge: love is in the air, SO, a layout full of pink, heart and pink. 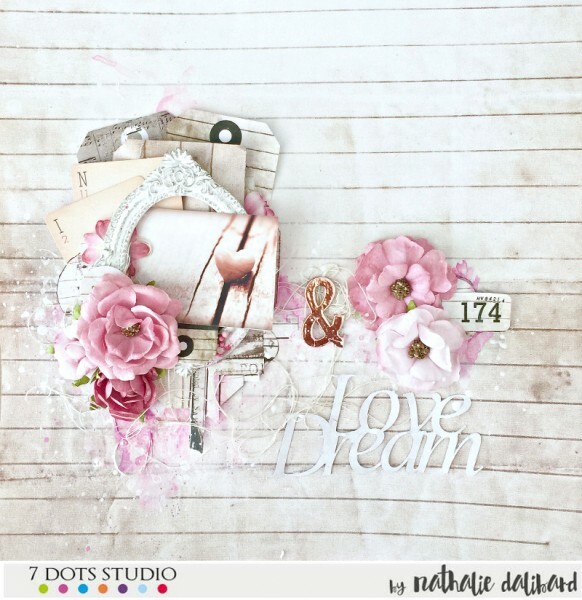 I wanted something soft and sophisticated for this layout, so I used this wonderful paper from the Writer’s Block collection, just a touch of pink with watercolours and of course flowers! When i am in love everything sounds like a music, my mind is blowing up and I feel like I want to dance…Love is everywhere, love is in the air! I can feel it in my veins. I can breath it. I used mainly Writer’s Block collection papers and stickers, combined with stamps from older collections Lost and found and Fortune Teller. I combined a black and white photo with brown,teal and dark pink watercolors. My idea was to use papers from Writer´s Block to make cards more masculine, as I did not feel like making romantic & feminine cards for Valentines this year. In fact the only one I give cards to is my partner and my father. I used the patterned papers from the Writer´s Block 6×6 paper pad. 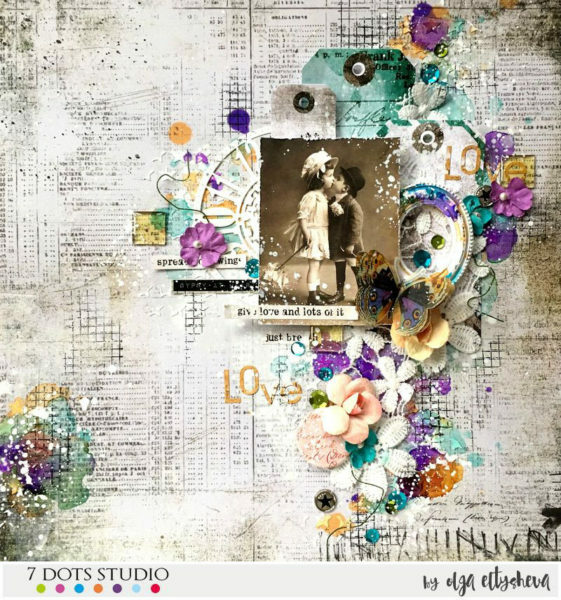 I die cut out a doily and leaves from the same papers and used as embellishments together with tags – also from Writer´s Block. 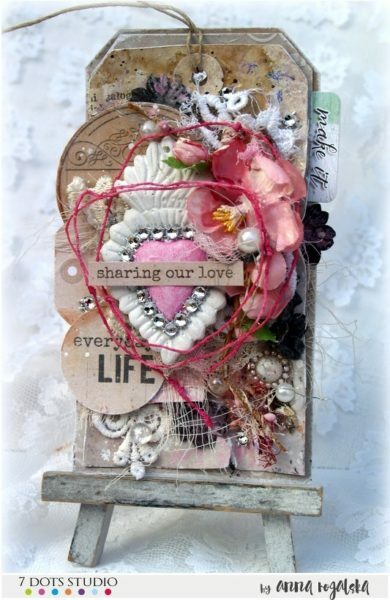 I gave my cards the right Valentines touch by using word stickers & stickers from the Homegrown collection. A bit of Pink Mist splatters add extra effect. I’m really satisfied with how the cards turned out. For this challenge I made a project with “love” colors. 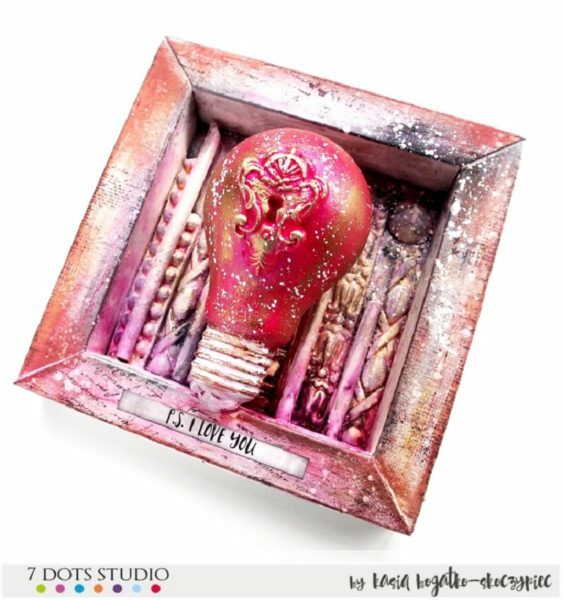 This is a 3-dimensional frame with mixed-media touch. February is a month of love, indeed. With that in mind, I made a little set of ATCs. 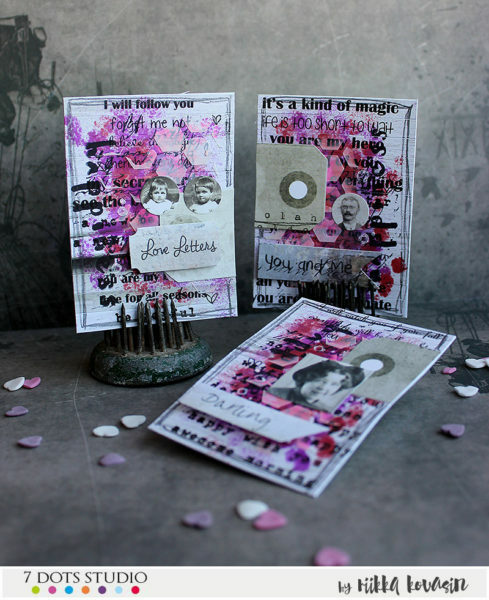 I chose positive, sweet texts as the background for these cards and the added some pinks and purples on top. 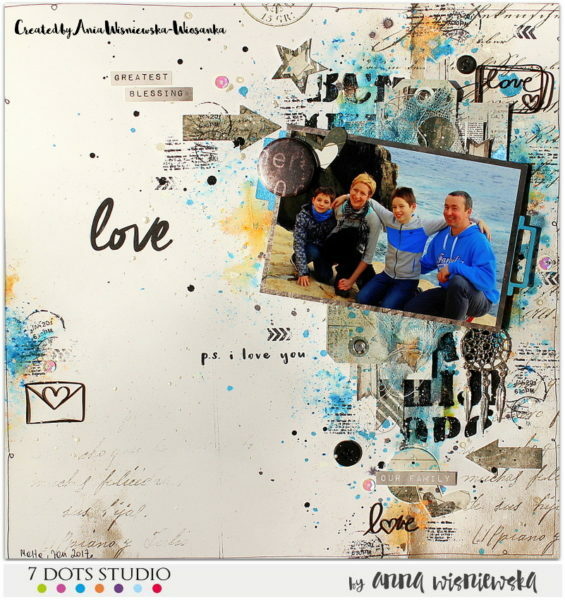 The big texts also reflect love and they are from the Cold Country Die Cut Elements set. In this creation, I am amused with punch of red and black colours. I love the contrast. The Homegrown collection is perfect for this. I added some flowers to brighten up the whole creation. I am still in love with the brand because the collections are always fun to create with. I hope you enjoy the video. 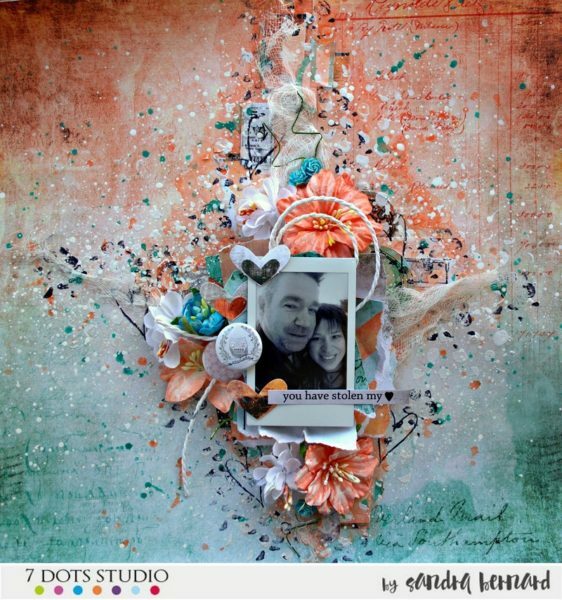 With this months challenge Louise has used the beautiful softly patterned vibrant papers and elements from the Homegrown range to create a layout to celebrate the love between a father and his daughter. One says “If You have friends – You have everything”. I would also say “If You have beloved family – You have everything”. And that what’s my layout is about. To make it I used Writer’s Block and some elements from Homegrown. I made this layout with cut-out hearts on the background. It’s all about me and my husband. It’s all about love. On the photo my husband and I are holding hands at sunset. It was our vacation this summer and it was a very romantic moment. I’m happy that I can capture that moment in my project. I made the canvas with my husband and I on our trip to India this winter. When travelling we always fell that love is in the air. 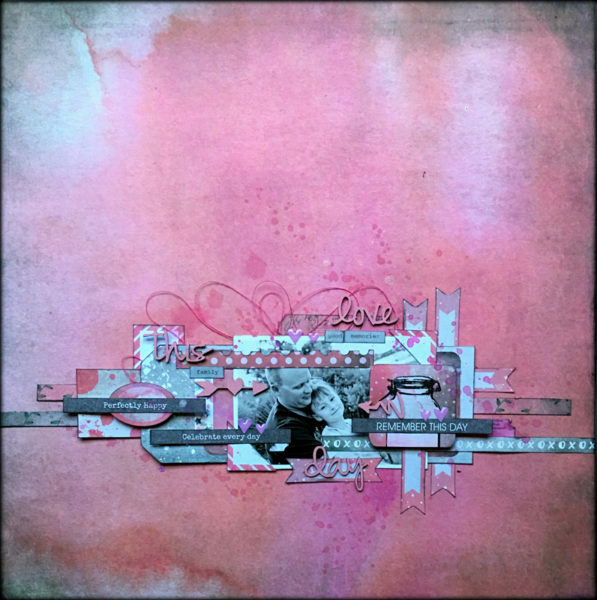 The tags and stencils from the collection “Writer’s Block” are very universal, and help to make a project on any topic and in any colour palette. My lover is always running away from cameras, it is rare that I use a photo of us two in my work, but I took this photo just before last Christmas. 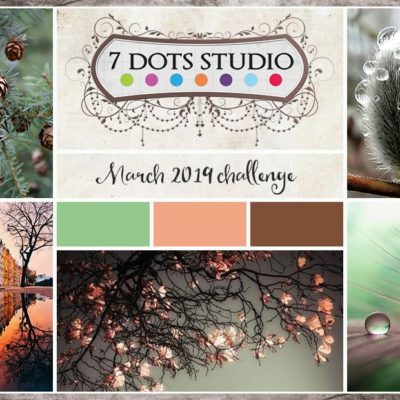 What better way to express this challenge theme that with a lover’s photo? 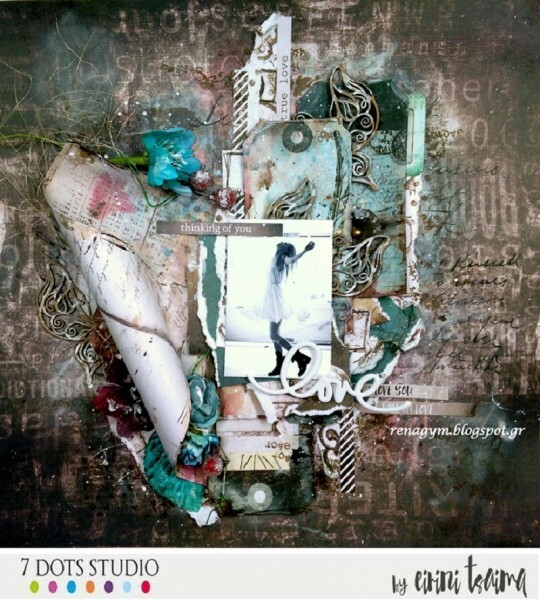 Play with us by expressing your love on 7 Dots Studio. 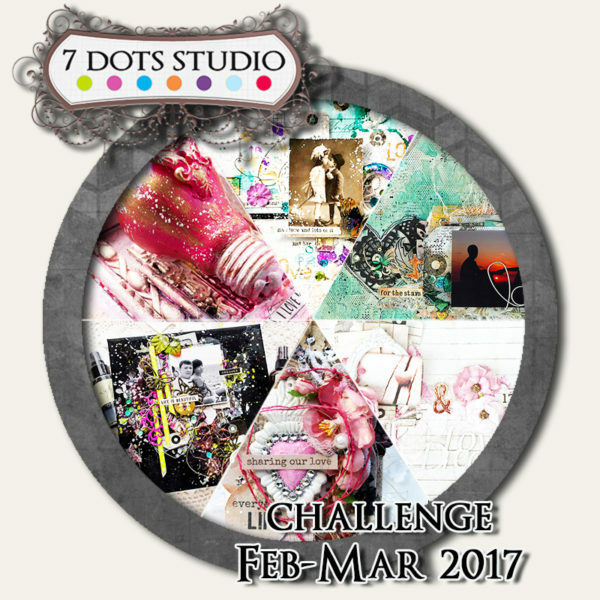 Challenge is open till March, 19th midnight CET. We announce winners by the end of the March.